Hello, cheese! I finished the Whole 30 on Monday of this week, and the rest of the week has been reintroduction, with specific food “tests” every couple days. This week I’ve tested cheese and the corn test is ongoing. I think next week’s tests will be beans/legumes (not soy) and grains that are not corn or gluten (so… rice I guess?). And maybe wine? 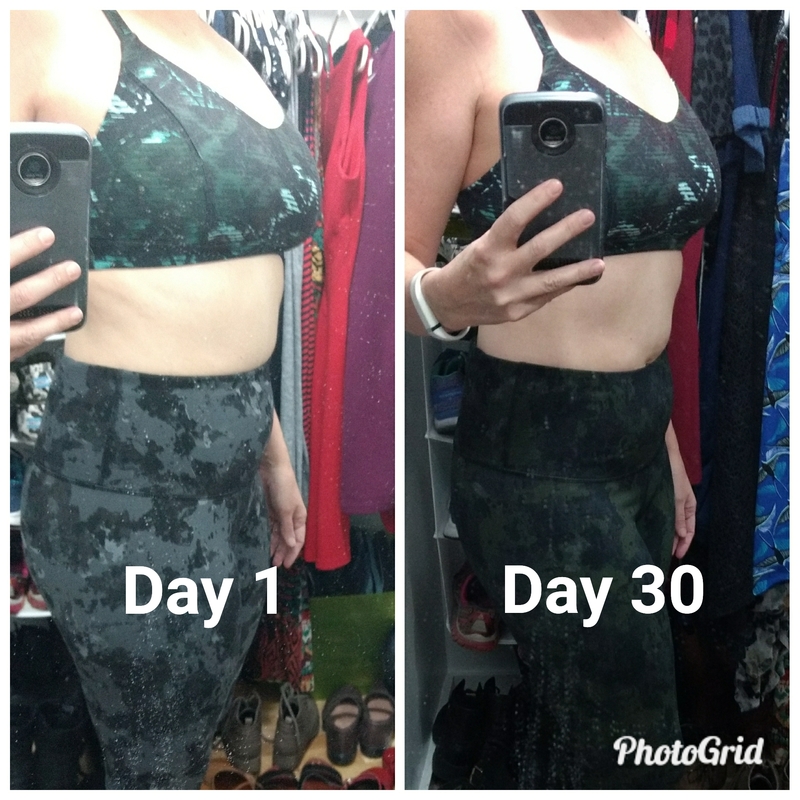 Eight pound difference – those are the same style pants, just a different color. At 6:30 am they all look the same! In other big news, I finally weighed myself – I lost 8 pounds during the Whole 30, and I passed my original weight loss goal from May by 1.5 pounds! My total weight loss since May now sits at 25 pounds, which is incredible. I’ve worked really hard at this and I’m quite pleased! I decided to set a new goal, which is another 10 pounds. One more pound and my BMI will drop under 25. Yay! I was up extra early for the 8 am Zumba class. I ate my usual apple sweet potato bake before, and made bacon and eggs after. Got my hair cut in the afternoon and headed out for the evening to a concert and then to an arcade carnival at a local brewery. It was a little hard not being able to order a cider at the brewery, but I was so close to done that I didn’t want to screw up with 2 days left! I made another batch of sausage potato soup (I’m obsessed) and took a long (seven-mile!) walk with a friend out on the walkways near the river (locals know it as the bosque trail.) She suggested, half-joking, that I might be sensitive to alcohol, which actually hadn’t occurred to me. It’s entirely possible though. So I guess I need to add wine to the test list. That would be a bummer to give up forever. The last day was totally unremarkable. Worked, did strength training and a little walk on the treadmill, ran errands, went to sleep early. My stomach had been a little funky that evening – just noisy, lots of rumbling and I’m not sure why. Cheese anticipation? I was surprised at how noticeable the change is in this picture, especially in my stomach and thighs. I got up early, excited to finally get to weigh myself, take after pictures, and eat cheese! I made some pao de queijo for breakfast, because it was foods allowed on Whole 30 (tapioca, eggs) plus cheese and milk. I also put a tiny bit of sugar in my coffee because I CAN! I didn’t use milk though, I think I might have worked through needing it, which is a good thing I suppose. I was sick within an hour of eating, though I wasn’t sure if it was related to the prior night’s funkiness or the dairy. So, I decided to keep going with the test, and figured if it was the dairy, it’d be real obvious the next time I ate it. For lunch, I had some fries (at home) with a cheese sauce I made, plus diced bacon and avocado. Again, I felt pretty yuck immediately after eating. Determined not to give up, I went to Red Robin for dinner and had a Tavern Double lettuce wrap burger. Again, I felt horrible after I ate it and felt ill until bedtime. So I guess I’m sensitive to dairy. GREAT. I’ve reverted back to mostly Whole 30 but with sugar (in my coffee and also in the form of three Starburst candies.) Feeling better after yesterday’s little dairy experiment. I’m hoping that corn isn’t a problem, because in thinking about it, corn is almost always eaten with dairy, either in Mexican food (tacos, enchiladas) or even when I eat corn pasta (cream sauce, parmesan cheese.) Test coming up next! 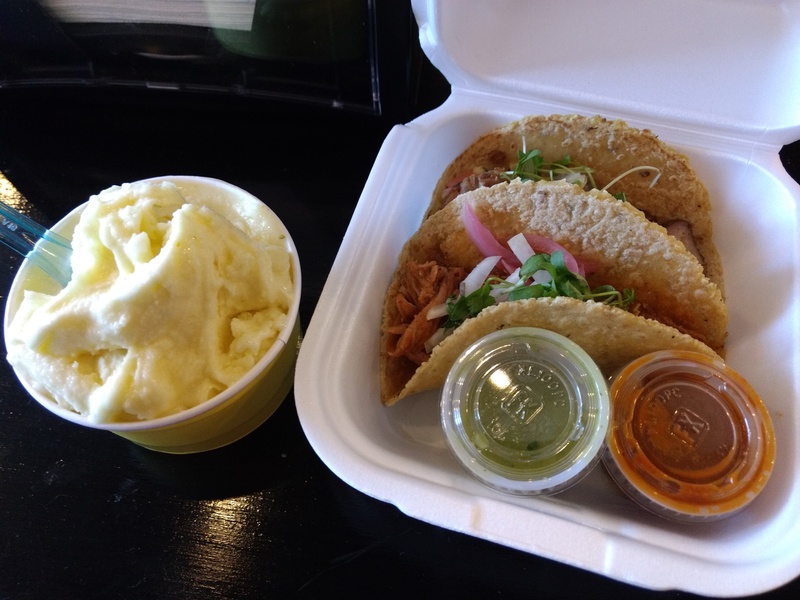 Carnitas and chicken tinga tacos, margarita sorbet (gluten and dairy-free) from El Cotorro. SO. GOOD. Today I tested corn. It’s been a little while and I’m feeling okay so far. I’ve got leftover tacos for dinner too, so I’ll be good and full of corn tortillas by day’s end. With the cheese test, I felt bad within 30 minutes of eating it… so far, so good here. It’s looking like maybe I was right about my corn + cheese theory! It’ll be a relief if corn is okay, I’m feeling pretty bummed about dairy right now. I’m posting one day early this week because I’m helping with my 20-year class reunion this weekend. Next week I should be able to test the last remaining mysteries Monday/Thursday/Sunday and then get on with my life! Next week I’ll talk more about the parts of Whole 30 I plan to keep up and which parts I’m throwing out. 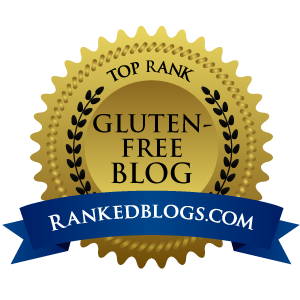 Have you had to give up a food you loved due to sensitivity? (If you’re here, I’m guessing you have) Any recommendations on dairy-free (and soy-free) cheese substitutes? Tell me in the comments! 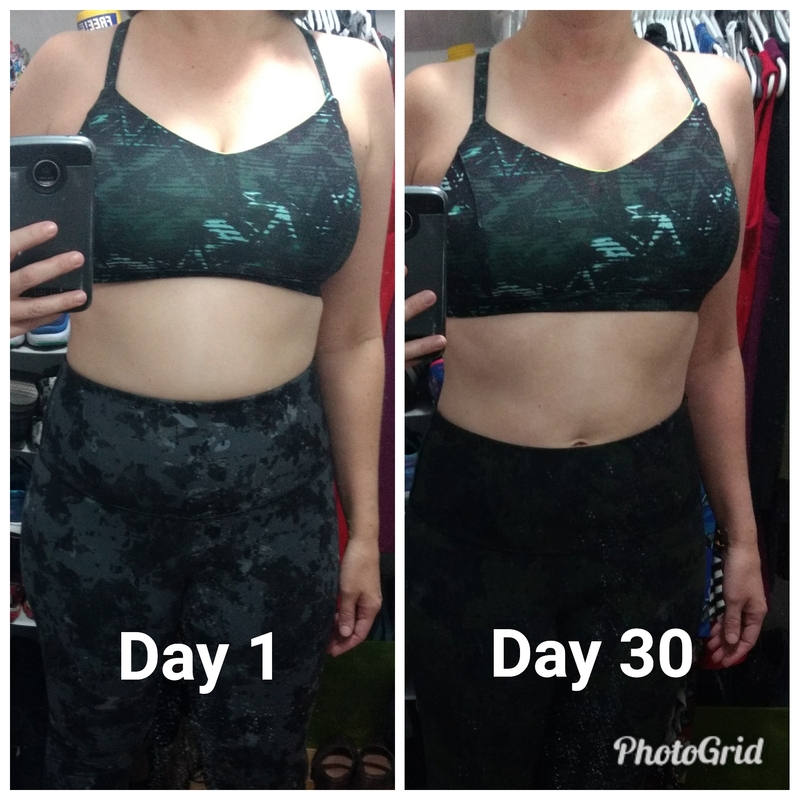 ← Whole 30 Week 4: am I done yet?